Board of Directors and Co-Founder of PI Energy. Family Office Insights sits down with David Andresen, Board of Directors & Co-Founder of PI Energy, to discuss PI Energy’s patented and proprietary technology in bringing low-cost solar energy to the global market at a fraction of the current installed cost. Tell us about your background and your company, PI Energy. My parents met at a General Electric picnic in Manhattan, got married and then moved overseas for a work assignment abroad in Europe. My father worked as an engineer with large power plants, turbines and pumps for nuclear and fossil fuel plants. As a teenager, I helped organize a feasibility report on solar energy on silicon photovoltaic (PV) modules. These PV modules were first made in 1941 and still dominate the solar PV market today. Back then, it seemed that solar energy couldn’t scale globally because of the costly expense and clumsy installation. After 76 years with outdated and incorrect technology, traditional PV solar is still a small crumb in the energy mix of our planet despite it being the most abundant renewable energy source out there. As a teenager, I had hoped to work in energy innovation, and at the time, I thought the future was in nuclear fusion. I was nerdy and curious, and read whatever I could find on Einstein, Oppenheimer, Bohr and Sagan – they were my heroes. When I finished high school, I moved to California to work as a Research Assistant in Materials Science and visited the large nuclear fusion test reactor at General Atomics where I came to the conclusion that recreating the core of a star on the surface of the earth will not work as it required gargantuan energy densities, as well as, fluid dynamics in plasma broiling at millions of degrees, which seemed unworkable in our lifetime. In the shadow of the Cold War, there was also the challenge of proliferation, as what company or country would buy or have such a machine that was a controlled thermonuclear fusion on the edge of being an H-bomb? The addressable market was very small, and deployment was tough. At about the same time I came to the realization that my calling was not in research or academia, but in the nexus between emerging technologies and business. After a hard pivot out of the ivory tower, I ended up working in hedge funds and investment banks to help structure difficult transactions and also get challenging people to work together. In 2007 when I was in a place to step down from my position as SVP at a hedge fund, my long-term personal and technical acquaintance, Phil Layton, now the CEO of PI Energy, came to visit me to tell me he had figured out how to provide cheap technology for solar energy. For seven years, since 2000, we had a running discussion about the possibility of metamaterials for solar energy, which is structuring material at the microscopic level that might provide cheap technology for solar energy. The idea was that if one could drop the price of solar energy, you could change the price of energy globally, and reduce global emissions. At our meeting, Phil drew a diagram of his new idea, showing the electromagnetic wave mechanism capture on microscopically structured aluminum. Phil worked as an electromagnetic effects physicist for a defense contractor, building commercial hardware for satellites and other platforms. We became friends through our interest in renewable energy back in 2000. With Phil’s unorthodox proposal for a solar material, a back-of-the-envelope estimate suggested that we could have a solar module at a price below 1% of the cheapest thing in the market. We knew it was something that needed to be explored with all the intensity of its potential impact. We knew that this could be a profound game-changing technology for our civilization. We thought that if we could provide inexpensive energy in the bush in Africa at a price significantly below the price of coal in China, then things could improve quickly in the right direction for climate stability, energy for drinking water everywhere, and broad economic development. So, in 2008, Pacific Integrated Energy, Inc. (PI Energy) was formed. It was all Phil’s idea that he had been mulling over for years, and I almost—unwittingly—volunteered myself because of the potential impact. Within a year, Phil had managed to get some former DARPA people to contract and manufacture the proof-of-concept prototype, which worked, and paved the way for PI Energy. Since then, PI Energy has developed fundamental innovation for solar energy, utilizing plasmonic absorption on metal and near-field resonance, capturing broad-spectrum sunlight, and converting it to electricity. PI Energy’s projects and technology, which are patented and proprietary, provide as a first-generation product where installed PV systems become 1⁄8 to 1⁄4 of the cost of unsubsidized traditional silicon PV systems for rooftop installations in emerging markets. Current PV systems absorb light as a particle, a photon, while PI Energy absorbs light as a wave, an electromagnetic wave. Our own eyes and chlorophylls in plants absorb light as a wave. So, in way, this is the old traditional way of capturing light’s energy, going back to eons to the beginning of life on earth. This key difference between treating light as a particle or wave drives the basic cost of the technology. Our goal is to drive clean and inexpensive energy globally with the commercialization of PI Energy’s technology. Who is the target clientele for PI Energy? We intend to provide novel and competitive solar PV technology that replaces current traditional PV in today’s marketplace with our cost advantages and scalability of the proposed fabrication process. The cumulative enterprise value of traditional PV module manufacturers exceeds $200 billion. PI Energy’s goal is to replace these providers entirely. In collaboration with solar project developers and electric utilities, that we are in close dialogue with, we plan to enter the electric power market with a proprietary solar module. Our long-term plan is to provide large-scale commercial/industrial, as well as, distributed power generation PV products for global adoption. PI Energy’s goal is to provide a next-generation of solar energy that is globally deployable and that can be ramped up quickly at a low cost. Our long-term goal is to enable typical individuals, in underdeveloped regions, like most of Africa and South Asia, to be able to purchase and self-install PI Energy systems at a locally competitive low price. One of our greatest challenges is overcoming the notion that solar energy is now mainstream, even though solar is just starting to show its potential—it only provides about 0.35% of the total energy consumed globally. In 2015, MIT’s Solar Energy report converged with our position that traditional crystalline silicon PV is a dead-end technology, and in order to have large-scale renewable energy, MIT encourages the development of novel PV materials. Another big challenge we faced over the past years is the indigestion of bad investments in traditional PV companies like Solyndra, Nanosolar, Miasole, Soitec Solar, and Sun Edison. Consequently, most investors in the US interested in solar PV technology companies invested in these companies that turned into billions of dollars of smoking craters. Most sector experts in the US would squarely blame China’s industrial policy, where tens of billions of dollars of Chinese government subsidies were instrumental in pushing most US and European PV module manufacturers out of business. This policy by China, assuming no trade conflict with the US, could prove to be successful over the long-term for eliminating competitors in the traditional PV market, a technology that is rooted in innovation from 1941. According to National Renewable Energy Lab analysis, it seems that China-based traditional PV modules are being sold below their cost of manufacture. At PI Energy, we believe that 1941 was a long time ago, and that its next-generation of PV materials can replace crystalline silicon modules. PI Energy is fundamentally different because it is capturing light as a wave in a metal, instead of as a particle, which in turn provides a path to ultra-low cost solar energy. Our key competitors are all solar PV module technologies (crystalline silicon, Cadmium Telluride, and CIGS), which are based around the same mechanism of absorbing light as a particle in a material that resembles ceramics, which is also made up very expensive components that require massive subsidies in government support. Solar PV contributes to just 0.35% of energy consumed by humans today because we’re using technology that is not very different from what was used during President Franklin D. Roosevelt’s administration. We can do better. Our plan is to replace the basic PV module technology with a material that is flexible, lightweight, robust, durable and easy to install. Most of the solar PV market relies heavily on subsidies and mandates. As the market matures, massive subsidies will be challenging to maintain. PI Energy assumes that solar subsidies are not dependable, and that as penetration increases, subsidies will shed. We intend to replace all solar module providers, which is a cumulative ~$200 billion enterprise value, on the basis of becoming the low-cost provider of solar, so that solar is accessible to all, not just under the subsidized programs that are mandated in wealthy nations. There are about 1.2 billion people in the world living without electricity, and about 1.5 billion people without access to clean water. More than half of humanity is without affordable or reliable electrical power or clean water. Access to electricity and clean water keeps the majority of humanity stuck in poverty and away from modernity, but with low cost solar, you can have electricity and energy to clean water. Energy is a $6 trillion annual market. It’s the largest market in the world and we intend to change its landscape so that our commercial modules—when development is complete—is positioned to become the global dominant power provider. Our ideal investor is an individual or a family office that has experience in renewable energy with an appetite for risk interested in the potential to make a good return while also sharing our goal of improving the human condition. We are looking for up to $10M, which we intend to use to grow our present team of 10 employees with additional technicians and equipment, so that we can move faster to bringing a commercial product to market. These funds would also be used on the initial pilot deployments. More than four years ago we were offered $35M twice to sell the entire company, and twice we turned down the offer, as we are in it for the long-term broad global impact. Over a year ago, we finished raising $12.4M, which we’ve been happy about, and we are now embarking on raising the next $10M. Ideally, we would like (1) or (2) investors without oversubscribing. Our mission is to change the price of energy on the planet by making renewables globally deployable over the short term, and to reduce greenhouse gas emissions dramatically while positively impacting economic growth. Historically, a novel solar cell takes typically ten years to develop. PI Energy started on this path in 2008, and I believe we are close, maybe a few quarters or months away, from a module that we can pilot commercially. Since inception in 2008, we have had no technical employees leave the Company. These are the engineers, physicists and chemists that understand the technology in great detail with a good part of their compensation being stock options. Every day, for years, these team members, many with advanced degrees, choose to work at PI Energy, underpaid in cash relative to the market rates, but gaining stock options in PI Energy technology. We have not lost anyone on the team. I think that says a lot about the work we are doing. Maybe it is because we intend to transform the global energy market and improve the emissions path for our entire civilization. 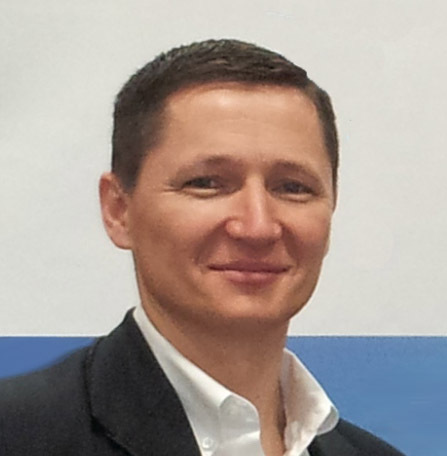 David is 20-year veteran in cleantech, with a focus on early stage technologies. He has negotiated and structured dozens of private equity financings, from both within hedge fund buy-side as well as from the investment banking sell-side. The transactions ranged from early stage to NASDAQ-listed companies, with a focus on cleantech and international transactions (Europe, South America and Asia). Since 2012, David made a significant career change when he left a senior position at Oracle Capital to dedicate most of his efforts to advancing PI Energy. Also since 2012, David has served as an advisor to the International Finance Corporation (World Bank group) on sustainable development in underdeveloped and emerging regions, as well as next-generation clean technologies’ commercialization. He serves as a Principal Advisors to the U.S. Department of Energy CAP program, for commercialization of energy-related SBIR grant awarded companies. 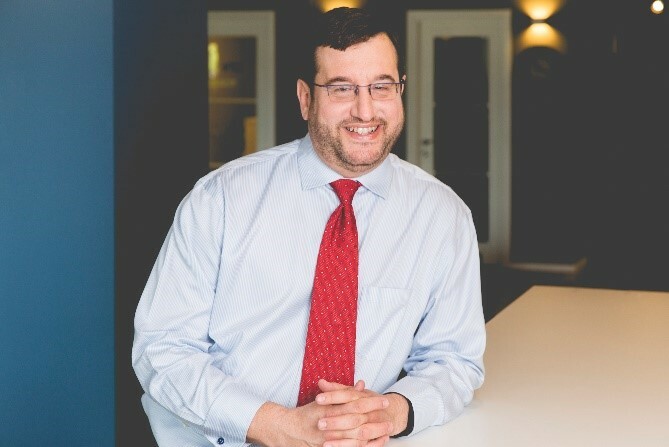 From 2008 to 2012, David served as leader and managing director of the cleantech practice at Oracle Capital Securities, where he managed and structured private equity transactions for cleantech companies. For 2010, he was appointed as chairman for San Diego for the Cleantech Open, the leading global cleantech competition and accelerator. Between 2004 and 2008, David served as a Senior Vice President of Corporate Finance at YAGI, a PIPE hedge fund with assets of over $1 billion. He negotiated and structured several milestone transactions for the fund in China and in the domestic cleantech sector. From, 2000 to 2007, he was an advisor to an environmental hedge fund, with a strict value strategy, managed by Summit Global Management. From 1999 to 2004, he was the principal at Early Capital, a venture capital and investment banking advisory firm, where he was responsible for arranging and structuring financings from high tech corporate investors. Also, between 2000 and 2003, David served on the review board of CalTIP and CCAT, participating in the selection of companies for state and federal grant programs. Currently, David has supported atmospheric science research efforts, serves as an advisor to the Climate Science & Policy program at Scripps Institute of Oceanography, and since 2008 he has served on board of directors of PI Energy, which is a next-generation solar technology company. Formerly, David worked in astrophysics research and materials science research, funded respectively by NASA and the US DOE. He earned a bachelor’s from the University of California San Diego. David grew up and was educated in Europe. He speaks fluent Spanish. He has been a guest speaker at private equity, high tech and cleantech conferences. For more information, please reach out to David at da@pienergy.com.